One thing is for sure, wine tasting is in no way the same thing as drinking it and many consider it to be an art. To fully understand wine and experience its true flavor, you need to slow down and pay attention to all your senses, from taste and smell to sight and touch. Group size — before mapping out which wineries you want to visit, think about your group size. If you have a large group of 8 or more, you will want to call ahead; many of the wineries require large groups to make reservations. Occasion — if you are planning a romantic day of wine tasting for two, you may want to visit some of the more private, quaint wineries located off the beaten path on the De Portola Wine Trail. These wineries offer a warm charm and a romantic view of the rolling foothills. 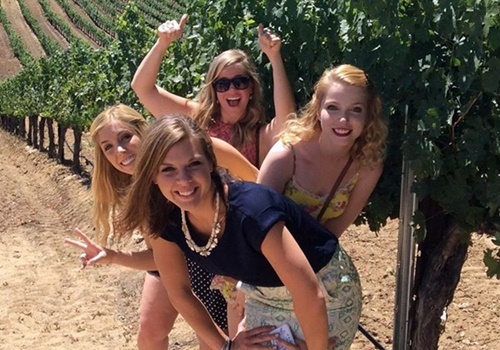 On the other hand, if you are celebrating a bachelorette party or a birthday with a group of 10 or more, you may want to go to some of the larger wineries that can accommodate a larger party. Taste — before deciding on what wineries to visit, do some research. Some of the wineries are known for their big reds, others specialize in Estate Italian varietals, and others specialize in refreshing whites. 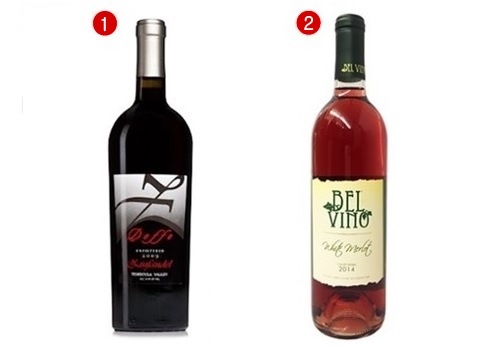 You will want to do your homework and find out which wineries appeal to your specific palate. Dining — before planning your tour, think about what type of restaurant you want to eat at. Temecula Valley Wine Country is home to a number of delightful restaurants, ranging from small café style restaurants to fine dining. Winery tours — most of the wineries offer private and semi-private winery tours where you can learn the history of the winery as well as the different flavors of the grapes and vintages. You may also want to sign up for a cheese and wine or chocolate and wine pairing as well. Timing — another thing to consider is how long you want to spend on your wine tasting tour and how many wineries you would like to visit. It is recommended that you spend at least one hour at each winery so you can relax and enjoy your tastings. Three to five wineries in one tour is ideal. Be prepared for wine tasting fees — keep in mind, all the wineries charge a fee, usually around $10 for five tastings. You can also purchase a bottle to enjoy while sitting outside. Before starting a wine tasting, you need to ensure you are in the right tasting environment, as the circumstances surrounding your experience may affect your impressions in the end. There are many factors you need to keep an eye out for, such as noisy, crowded rooms; cooking smells and any other odor; wine glass shape and size; wine age and temperature and finally, residual flavors from whatever you have been eating/drinking before the tasting. Thus, good tasting conditions must be met before starting your wine tasting. Noisy or crowded rooms can make concentration difficult, different smells and odors can influence your ability to get a clear sense of the aromas, wine flavor can be affected by the use of wrong glasses, and so on. In case the wine you intend to taste is too cold, cup the glass and warm the wine with your hands. Another thing to watch out for is the conditioning of the tasting glass: if it seems musty, rinse it with wine, not water, and swirl it around in the glass to cover all the sides. Make sure you have good, neutral tasting conditions. Make sure your wine is at the right temperature and adequate to taste. Get an adequate tasting glass. Pour the wine into the glass about 1/3 full. The first step of actually tasting wine is to evaluate it by SIGHT. Look straight down into the glass, hold it in the light and give it a tilt so the wine rolls toward its edges. You will be able to see the wine’s complete color range, not just the dark center, giving you a clue to the density and saturation of the wine. View the wine through the side of the glass held in light to see how clear it is. View the wine with the glass tilted so the wine thins out toward the rim to find out its age and weight. Give the glass a good swirl on a flat surface if you are a beginner. "Legs" or "tears" that run down the side of the glass will give you an idea about the wine's alcohol and glycerin content. The next step is to evaluate the wine by SMELL. Give the glass another swirl, do not bury your nose inside it but hover over the top and take a series of short sniffs. Put the glass away a bit and analyze the information. While sniffing the wine, look for the following: off-aromas, fruit aromas, flowers/leaves/herbs/spices/vegetable aromas, wine barrel aromas and secondary aromas. Keep in mind that there are thousands of aroma components in a glass of wine, so it is impossible to find them all. The final step and most anticipated is to evaluate it by TASTE. Take a small sip of wine and try sucking it as if pulling it through a straw, in order to aerate and circulate the wine inside your mouth. By taking small sips, you will be able to identify the flavor and aromas, as well as if the wine is complete, evolved, complex, harmonious and balanced. Swallow the sip and notice the aftertaste or finish. The more defined the finish, the better the wine. A good finish will linger on your palate for quite some time and will reflect the flavors of the wine. Build a wine journal and write complete tasting notes for all the wines you taste. Temecula Valley is famous all over the world for its rich vineyards. The mild climate of this region favors the growth of several types of grapes. 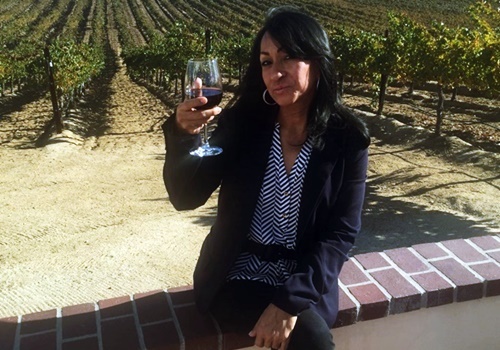 Many wine varieties that cannot be grown here are nonetheless brought from other regions and served at Temecula wineries to the delight of tourist and locals alike. 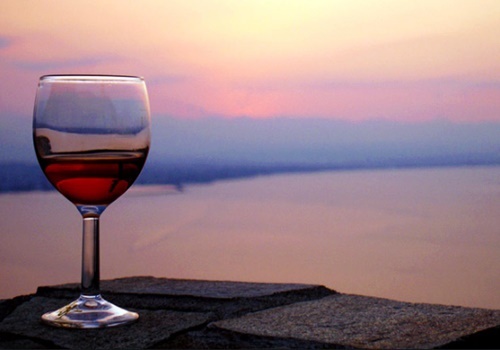 Here are some of the most popular types of wines you’ll be seeing on a wine tasting tour. This wine’s grapes require a warm climate to grow, so it comes as no surprise to find out that most Zinfandel wines originate in California. This type of wine comes in red and white version. It is a rather sweet variety whose most prominent flavors are cherry, cranberry, blueberry, and plum. In combination with spicy and flavored dishes, the Zinfandel will reveal its magical fruity taste. Merlot is one of the most in-demand types of wine in the world. It is a highly versatile wine and it will develop a particular taste according to the climate where the grapes are grown. The Californian Merlot tends to be slightly sweeter and less astringent. Merlot is great in combination with a large range of dishes like grilled chicken, roasted pork, grilled vegetables, roast turkey, or spaghetti. There is an extensive production of Syrah in Temecula Valley. If you ever happen to hear the term ‘Syraz’ keep in mind that it refers to the same type of wine. The Syrah is a dry red wine that can be paired perfectly with many foods. It is a great choice for those who love strong flavors that resemble dark fruits. This is another popular choice for wine lovers all over the world. Pinot Noir is also one of the most exigent wine types when it comes to grape growth conditions. This wine is usually produced in colder climates. It has a light red color. Its distinguished taste is characterized by nuances of cherry, black raspberry, or plum. Pinot Noir wines go along quite well with dark meat, fish, chicken and almost anything else you might want to pair it with. 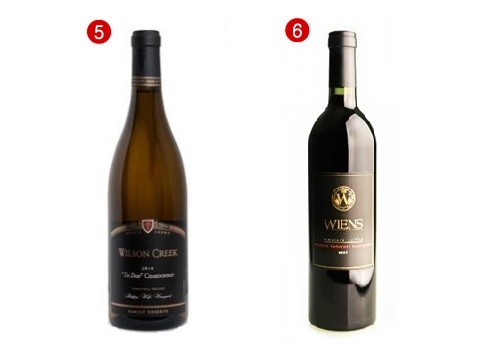 Chardonnay wines are the most common, but utmost elegant white wines. This wine’s aroma can range from fruit-like to rather smoky hints depending on how it is produced and whether it has been kept or not in oak barrels. It is one of those wines that get better as they age. 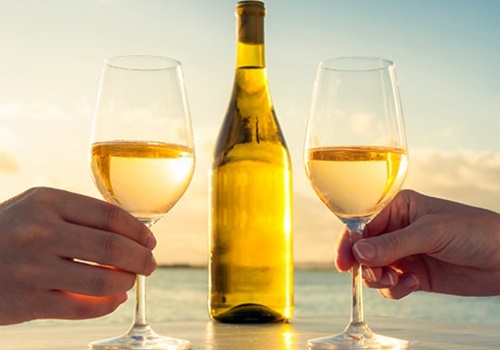 The Chardonnay is a perfect match for fish dishes, chicken dishes or cheese varieties. The famous Cabernet Sauvignon is another wine that frequently accompanies us on many different occasions. This easy-going wine can be produced in different climates. It is bold and it has a beautiful red color that adds value to its already exquisite taste. Cabernet Sauvignon boasts its dark-fruit flavor and makes the most out of it while paired with steak, mushroom dishes, or ribs. This renowned white wine is produced extensively all around the world. Here, in California, it might be referred to as the ‘Fume Blanc’. This dry wine’s trademark is its green, herbaceous aroma. Sauvignon Blanc wines go perfectly well with foods that are enhanced with herbs like rosemary or basil. 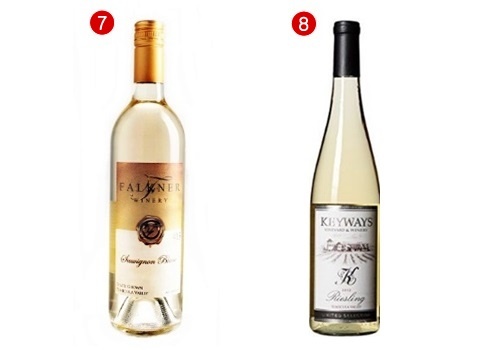 Riesling wines are a classic variety of white wines whose grapes can be grown in different regions. This flowery wine is easily noticed because of its high acidity. It comes in different degrees of sweetness and it can be paired with chicken, seafood, cheese, and many other foods. 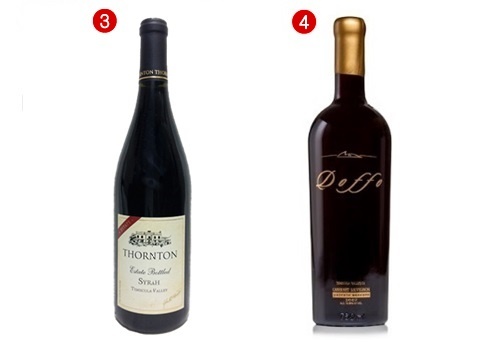 These wines are some of the most common varieties you are likely to find in Temecula’s wineries. A tasting tour in this region will definitely reveal plenty more secrets about this fascinating beverage, so don’t miss your chance to come here for a hands-on experience. If the wine has no off-aromas, look for FRUIT AROMAS. Wine intensity and fruitiness depend on the grape variety, growing conditions, and winemaking techniques. Many grapes show a wide range of possible fruit scents and tastes that make it easy to identify them. However, if the wine is very old, very cold, or very sweet, these aromas might be completely absent. In time, you will be able to identify certain varietal grapes by color and scent. Wine taste and smell can also be affected by the temperature that the wine is served at. Generally, white wines should be served at temperatures below 55 degrees Fahrenheit, while reds should be served over 55 degrees Fahrenheit. Higher serving temperatures increase the aromatics but minimize tannins and acidity, while lower serving temperatures will mute the aromatics and emphasize tannins and acidity. To get a really good idea of the wine you are serving, we recommend serving it alongside several other wines in tasting flights, consisting of 3 to 5 wines. Try to go wine tasting without knowing too many details of the wines you will taste, as even your judgment and expectations can be affected by them. Several wineries in Temecula are offering wine classes that aim to help wine aficionados get a better idea on what wine tasting is all about. These courses are meant to empower attendees with their wine experience and knowledge. Oak Mountain Winery will hold a University Wine Class every week on Tuesday, Saturday, and Sunday, throughout the whole year. Enjoy a wine class and learn wine tasting techniques in a wonderful atmosphere while tasting several wines. The duration of the class is around 1 hour and 30 minutes and a 2-day advanced booking is required. 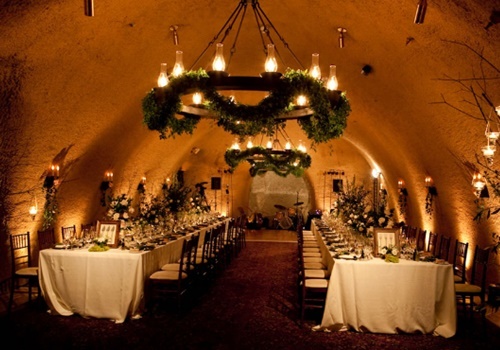 Falkner Winery is also offering their own monthly wine appreciation, classes. The class is held monthly from 10 AM to 12:30 PM on the third Saturday of each month. Course attendees will learn about wine tasting and production. The attendees will also get a certificate for 10% off lunch at the winery’s restaurant. Wilson Creek Winery is proud to launch their Temecula Academy, with monthly courses held on Sundays from 1 PM to 3 PM in their Garden View Terrace Room. The courses are aimed to extend your wine knowledge and experience. All courses are $30 for wine club members and $45 for non-club members. Call now and reserve your spot! Get to Your Wine Tasting Courses in Style! San Diego limo company Aall In Limo & Party Bus specializes in elegant limo wine tours from San Diego or from anywhere in San Diego County as well as Party Bus wine tours. The drivers and staff are familiar with all that Temecula limousine wine tours have to offer and can help you plan the perfect tour, based on your group size and occasion. Whether you are planning a romantic day for two, or are planning a girl's wine tasting trip with 10 of your closest friends, the drivers at Aall In Limo & Party Bus can not only help you plan the perfect day, they can also make sure you arrive safely and in style. We can take care of your wine tasting classes reservations on your behalf! Call us at 858.336.1894!